The magnetic board appears just as in the picture description. It is a nice solid wood frame, and I love the finish. It is a nice modern touch to my modern kitchen! A beautifully framed magnetic board turns everyday notes and messages into an ever evolving work of art. It's a great way to add function to your home without sacrificing style. 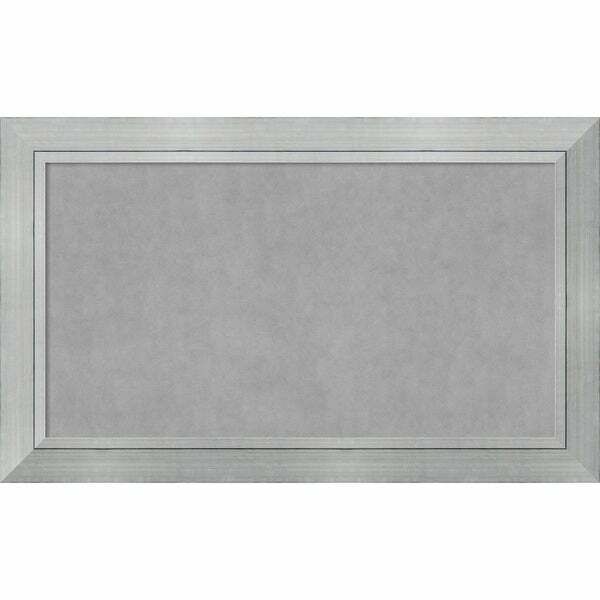 This high quality, 100-percent real wood decorative magnetic board features a burnished silver frame with clean lines, a slightly angled profile, and a raised inner lip. The modern finish is a medium silver with fine black lines and a veining texture throughout the surface. This magnetic board is handmade in a small custom art and frame shop in the American heartland - you can be proud to display it in your home. "Can you also use chalk or liquid chalk markers on this magnetic board?" "Are the listed sizes the outside dimensions? If so, how wide is the molding? Thanks!"